Cut 8 sticks of cucumber, they should be about 7-8 cm long and about 1cm thick. Cut the cheese sticks to match the size of the cucumber… you might have to patch it up as you are using leftovers cheeses. Cut the bacon of the same length. 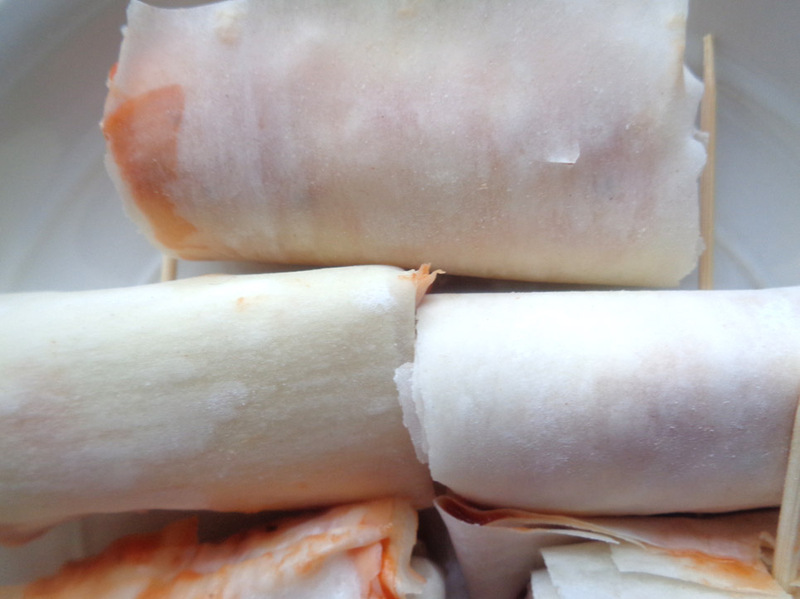 Take 2 sheets of filo, lay them flat and cut in 2 width ways. Keep the halves doubled up. 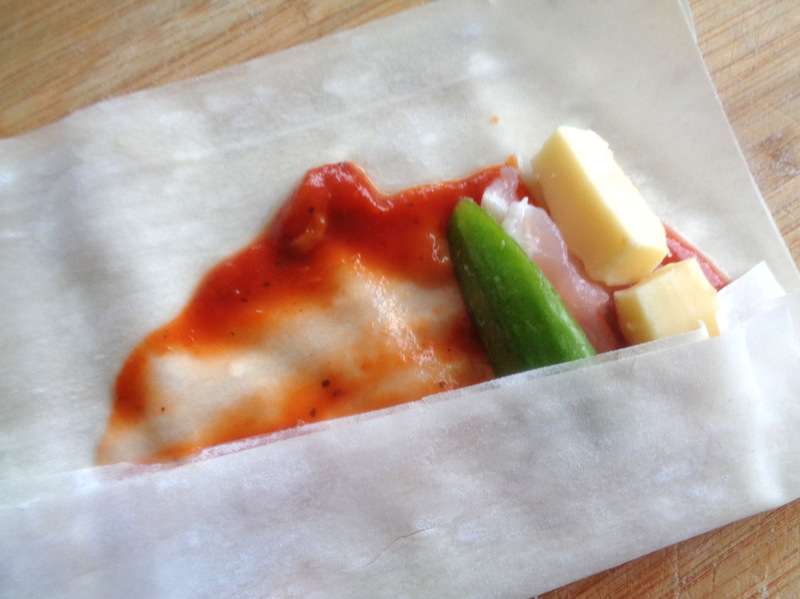 On one set, spread a bit of tomato sauce and place on it 1 stick of cheese, 1 stick of cucumber and one slice of bacon. 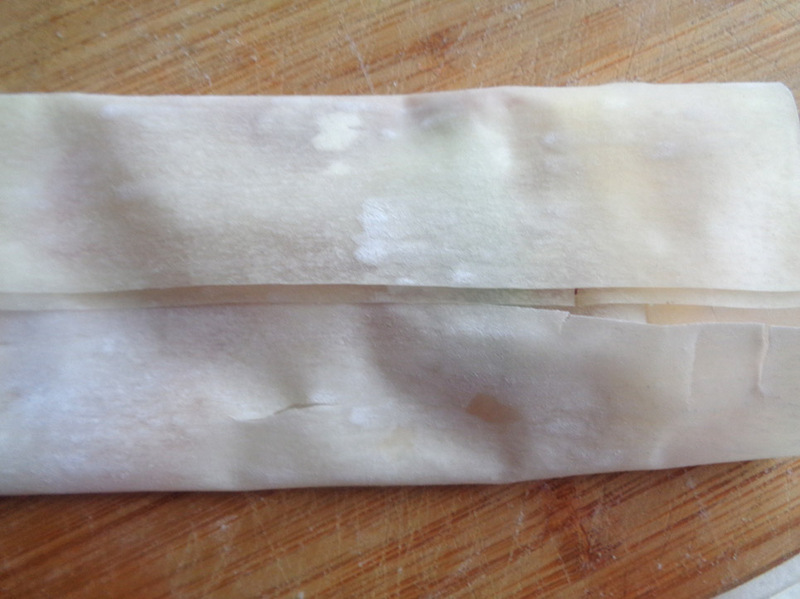 Now fold over both ends of the pastry like a blanket, as on the pictures, then roll tightly. When you reach the end, dab with a lick of sauce to seal. Then hold with tooth pick until it’s time to fry. Repeat all the above until all the rolls are done. Fry as soon as possible as filo pastry dries up very quick if left uncovered. These are being deep fired, so, heat the oil very hot, the rolls should rise to the top as soon as they are dropped into the oil. Fry the rolls for 3-4 minutes turning them to make sure that they are fried on all sides. Remove from the pan and place on absorbing paper. Repeat until all is done. 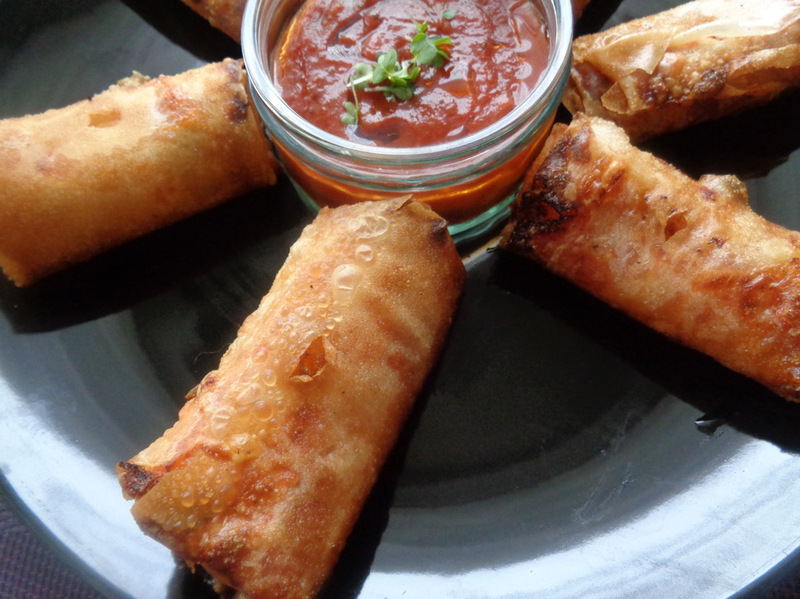 Serve with a tomato dip. 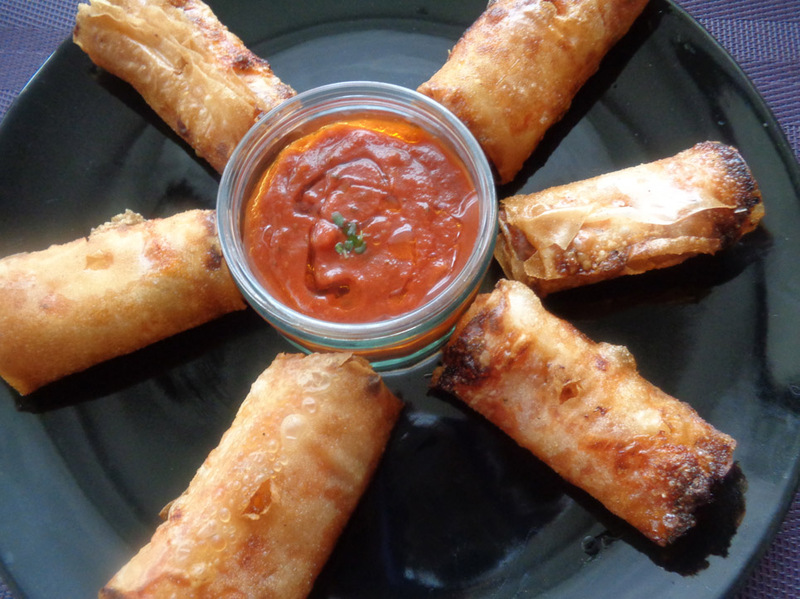 If you intend to reheat the rolls, do it in the oven rather than the microwave. 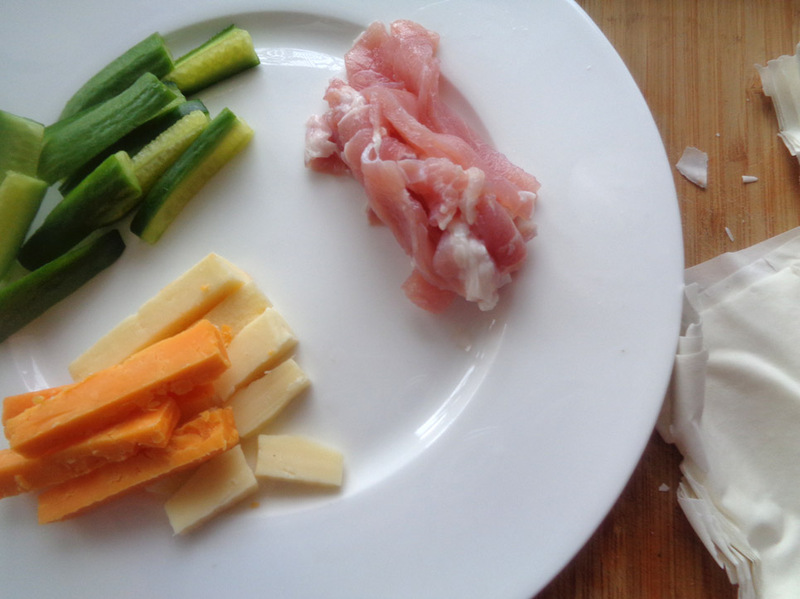 This entry was posted in snacks, Starters and tagged bacon, cheese., ChristmasScraps, cucumber, filo pastry, XmasScraps. Bookmark the permalink.